Charles Darwin published The Origin of Species, his revolutionary tract on evolution and the fundamental ideas involved, in 1859. Nearly 150 years later, the theory of evolution continues to create tension between the scientific and religious communities. Challenges about teaching the theory of evolution in schools occur annually all over the country. 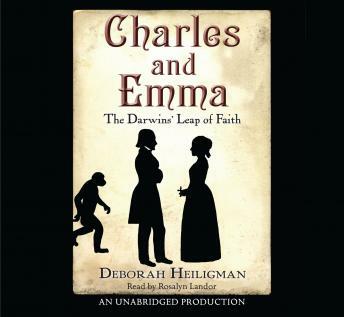 This same debate raged within Darwin himself, and played an important part in his marriage: his wife, Emma, was quite religious, and her faith gave Charles a lot to think about as he worked on a theory that continues to spark intense debates. Deborah Heiligman's new biography of Charles Darwin is a thought-provoking account of the man behind evolutionary theory: how his personal life affected his work and vice versa. The end result is an engaging exploration of history, science, and religion for young listeners.